Dear customers, we have updated pricing policy to make our products more accessible to the end client. Now you can buy single products for really lesser price as well as choose subscription plans. During 6 months you will get technical support and updates for single products. 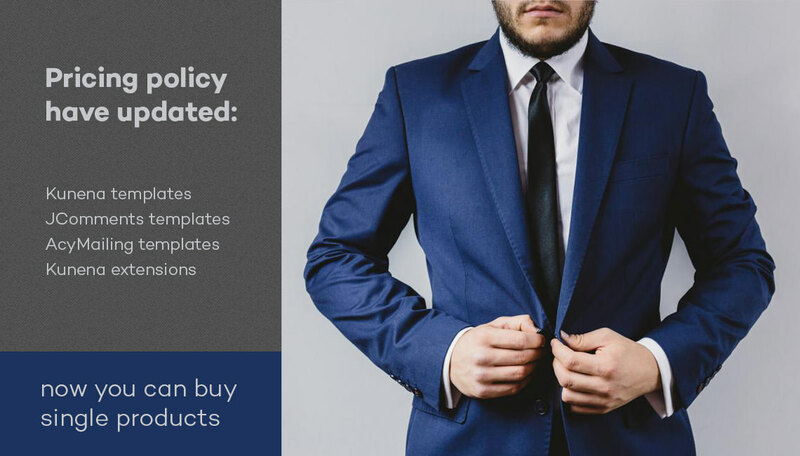 All products are professionally made, have clean code and most of them comes with live demo, so the client can see and estimate how templates and extensions looks like and its features and finally decide could the selected product cover their needs. There is no refund now.